From cascading water features to stone fire pits, there are a number of ways to transform your everyday backyard into the outdoor sanctuary of your dreams. From the heat of the summer through the icy winters, the right additions can make your outside space habitable all year long. At Murphy Home Improvement in Cincinnati, OH, the expert designers have a few ideas that will revolutionize your outdoor living area. Whether it’s inside or outside, a rug adds a cozy quality to any room. Make sure you choose a weather-resistant variety that will endure through every season. Just like you would in your living room, choose colors or patterns that complement your existing design scheme. The right rug will bring your outdoor living space together. Seating is crucial, always. When creating an outdoor space with comfort in mind, skip the hard metal or plastic patio chairs and benches. Instead, look for comfy furniture and cushions made from weather-resistant fabrics. Make sure to invest in a large umbrella to shield you and your guests from the elements. When crafting the perfect outdoor living area, forget lampposts and torches. Instead, go for intimate, indoor-inspired details like candelabras and chandeliers. These days, there are a variety of outdoor-proof options to choose from. When many people design their patio, they rigidly conform to ideas of what they believe is suitable for the outdoors. In reality, there’s an eclectic variety of furniture, décor, and lighting options that can be used, so don’t be afraid to push the boundaries. Think coffee tables, full bars, drapes, and entertainment consoles. 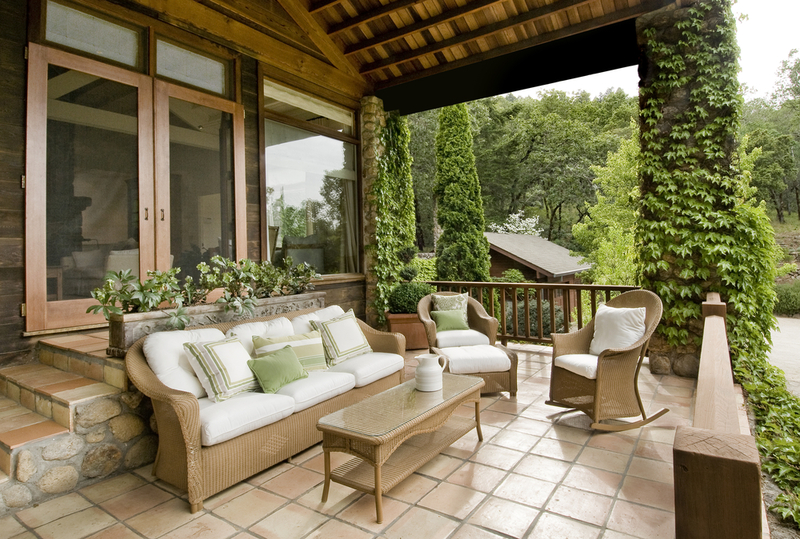 For more advice planning the outdoor living area of your dreams, contact Cincinnati’s premier remodeling service. Call a helpful professional from Murphy Home Improvement today at (513) 922-8989. You may also visit them online.